The people of Wakanda are restless. They've been stirred up by a group called The People and some of them have become dangerous. T'Challa has been doubting himself and whether he can do the right thing to protect Wakanda. 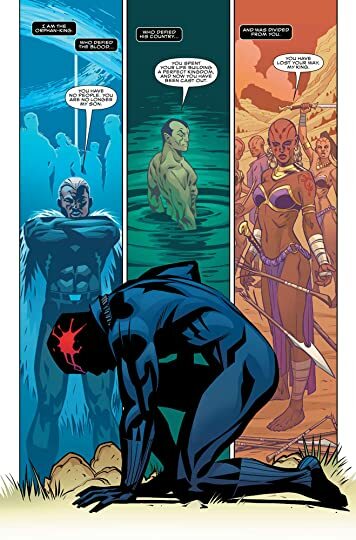 Meanwhile one of the Black Panther's Dora Milaje is sentenced to death for doing the right thing because of growing corruption in Wakanda. 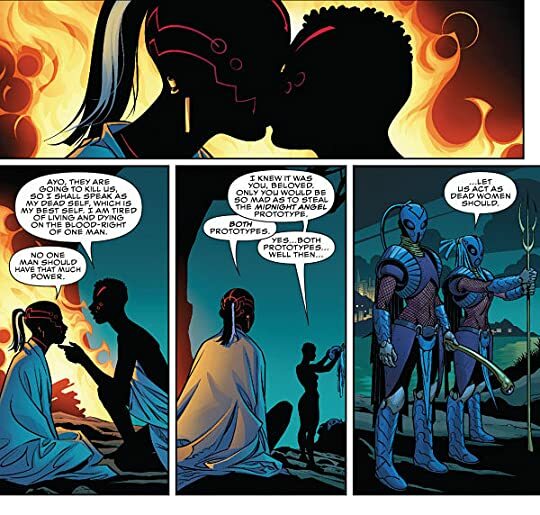 Her fellow Dora Milaje and lover will not allow her to be killed and steals experiment armor to free her. 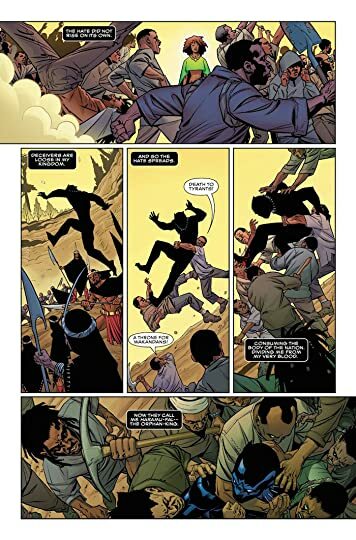 I was really excited about a new Black Panther comic especially having such a renowned author as Ta-Nehisi Coates on the project. Unfortunately very little happens in this volume. The thread that Wakanda has problems that need to be solved reoccurs, but the rest of the time is spent lamenting those problems and kindly trying to solve them. 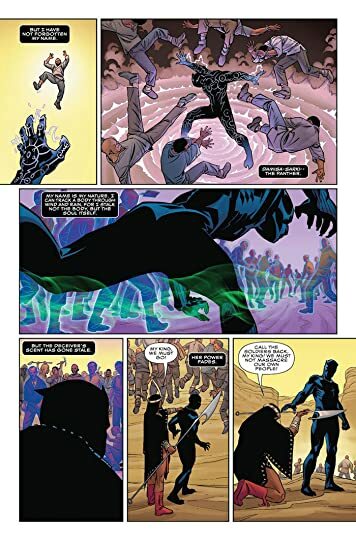 T'Challa is scared and frustrated regarding what's happening, but little of his persona is shown. 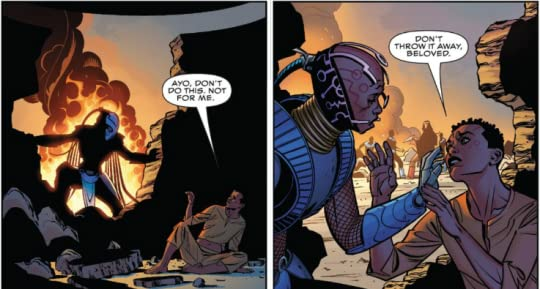 The most compelling and forward moving aspect of the story is the Dora Milaje who escaped from Wakanda with experimental Midnight Angel armor. One of the lovers is sentenced to death for actually doing the right thing and the other can't accept her punishment. They embody the trope of wanted lovers on the run from their problems, but they are far from helpless because they armor they wield is powerful. The writing in A Nation Under our Feet feels very amature. Those bubbles are packed with words mostly philosophical and political in nature. It's clear the story will eventually go somewhere, but right now it's taking the scenic route filled with speeches. It's been disappointing thus far and I think I'm going to wait to read the next issues and volumes at my library or Marvel Unlimited.